That’s right, folks, the Amazing Historio can tell the future. I can predict with shocking accuracy the path any new school-reform panacea will take. Actually, it’s not very amazing. Any teacher can do it. Anyone who has been paying attention can do it. The pattern is so depressingly predictable that the only real challenge is figuring out why journalists keep buying tickets for the same show. This time around, the story comes from San Antonio. SAGLRROILYBYGTH know I’m working on a new book about America’s first urban school reformer, Joseph Lancaster. It’s not to Lancaster’s credit that his loud-mouthed ego-trip school-reform plan established this depressing pattern in the 1810s. Here’s how it goes: A well-meaning, energetic young person pours his or her heart into building a great school. It works. Soon, the students are doing far better than anyone believed possible. Buoyed by success, the reformer will build his or her ideas into a marketable plan, something that he or she promises will be able to fix urban schools without costing any more tax money. It doesn’t work. 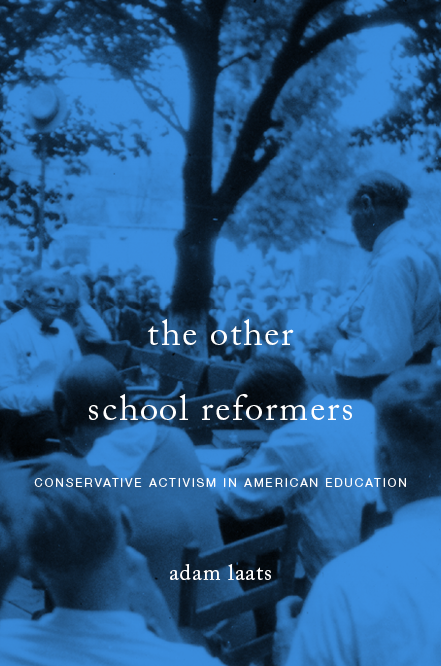 Turns out, the thing that was really fueling the improvement was not any specific method of teaching or of organizing schools, but rather the energy and dedication that the community poured into its original reform effort. As soon as the “reform” becomes standard, it loses its pep and becomes merely business as usual. Soon, jealous hacks notice that the reformers’ big promises didn’t pan out, and after explaining away the failure for a while, the reformer goes into some sort of awkward retirement. For Joseph Lancaster in the early 1800s, his big reform was the “Lancastrian” system, which set up hundreds of kids from low-income urban families in big school warehouses, goaded by older student monitors. It worked great at first, at the Borough Road School in London. Lancaster ate lunch with kings and presidents and promised his system could save every city from hordes of illiterate urchins. The solution, c. 1805. Never again would urban students from low-income families suffer from lower-quality education. But guess what: Lancaster’s schools didn’t save every city. Students hated them. Parents hated them. Soon, Lancaster was in monstrous debt and his many detractors accused him of venality and obfuscation. You’d think we’d learn the lesson, but we haven’t. The pattern has repeated itself with every new promise of a silver-bullet reform that will “save” urban education. Ask Colonel Parker. Ask Rod Paige. And now we can ask Julian Castro in San Antonio. As a recent profile in Politico reports, the former mayor has built his meteoric career on a school-reform plan for the Texas city. The heart and soul of the plan is to enroll every San Antonian four-year-old in high-quality pre-kindergarten with a progressive pedagogy. The solution, c. 2017. Never again will students from low-income families suffer from lower-quality education. So far, so good. Getting every student into great schools really IS a great way to reform urban education. The problem is not in the idea itself. Rather, the problem comes when ambitious reformers think they have found a simple, transferable method for fixing schools. The problems begin to pile up when those same reformers hope to build their political careers by wildly overpromising. Again, I’m all for progressive pre-K programs. I’m all for giving all students a great early education. Those are great things. The problem comes when ambitious reformers suggest that changing the methods or structure of school will solve the problems of low-income families. The problems come when politicians promise that their plan will level the playing field and solve the challenges of poverty in a single generation. They won’t, and it seems nearly criminal to build a career by making these obviously extravagant promises. When the politicians and CEOs have moved on to Washington DC and cushy corporate sinecures, local schools are always left tackling the same problems as ever. The recipe for real reform is obvious, but it is never easy. Every kid should attend a school in which the entire community is engaged and enthusiastic. That’s not easy and it’s not cheap. But as we all know, it is the only school reform that really works. Posted in In the News, school reform, What is school? What about urban boarding schools that remove students from a dysfunction community to create a new one? My school-reform rule of thumb is that any plan–well, ALMOST any plan–that gets communities involved, energized, and excited about schooling is a good one. It’s not the specific pedagogical or organizational tweaks that do the job. Rather, it’s the excitement, resources, and dedication that often accompany those tweaks. In general, I don’t think it’s a good idea to remove students from a community. After all, the big goal is to get the whole community involved. Trying to create a healthy community is like trying to build a healthy terrarium. It’s possible with a lot of work and expertise, but it’s much easier to simply invest in an already existing community. Sure, but in theory it would avoid the problem you describe. I read about the success of the DC area SEED school and other spinoffs in the past — do you know how they have fared? It seems like a racially problematic project motivated by the abject racism of communities that steadily refuse to reinvest in poor, high minority concentration areas that function as a form of apartheid. I agree that this sort of plan sounds deeply problematic–it hasn’t been all that long since children were yanked out of native and First Nations homes and plunked into boarding schools to “cure” them of their culture. I don’t know anything about the SEED project in DC, but I know of some very popular programs back in Milwaukee that did similar things. As long as the families are enthusiastic participants, I think a boarding school experience really can be a good thing for a young person. After a couple of years serving on my local school board and 12 years on the Texas State Board of Education and having 2 sons in the Bryan, Texas public schools for 16 consecutive years and having been in Dallas public schools personally for 12 years, here is my recommendation for school reform. I think it could help build community. Texas Education—Where do we go from here ? To begin, let us pose a classical education question. Which school would you choose for your child or grandchild? B. An older school with a couple of desktop computers per classroom, old chalk boards, limited internet access—but a master teacher. Everyone, without exception, chooses the school with the master teacher. This question clarifies for us what I think is the major task for the legislature today—getting a master teacher into every child’s classroom. I believe solving it should be our state’s primary educational policy objective and that every policy should be evaluated by how it hinders or accomplishes this goal. But, instead of focusing on master teachers, we have focused on an accountability system! Over the last 37 years, the legislature has authorized five state tests (TABS, TEAMS, TAAS, TAKS, and STAAR,) two state curriculum standards (Essential Elements, and TEKS) and 23 years ago, a state Accountability System—the most ambitious reform of all. After years of effort, this standards-based reform has NOT solved the dilemma of getting a master teacher in the classroom. It has, in fact, muzzled the ones we have! For example, at a Senate Education Committee hearing February 2013, an Austin 7th grade English teacher testified that at that point in the school year in 2001, her students had read 10 novels and that that year’s class had only read one! So, what do we have to show for all this effort? We have definitely helped some children that would have been left behind. However, we have frustrated parents who—if they can afford it—are abandoning our public schools. We have frustrated teachers who are demoralized by their profession. We have frustrated children who—as one principal put it—“have lost their bounce.” Plus, according to experienced teachers, we have seen no improvement in academic achievement. A key point to keep in mind is that the legislature instituted these reforms with the best of motives—to help the disadvantaged or low-achieving child. Remember, 37 years ago most of our advantaged or high-achieving children were doing just fine. Now, we are losing many of these children—and their parents—to home schooling and private schools. This drain of highly involved parents with motivated children makes the job of our public schools even more difficult. Also, the Accountability System has a major structural problem that has not been recognized or acknowledged by its advocates. Ironically, the system to raise standards makes it impossible to have high standards. I call it the accountability conundrum. The best question I ever asked in my 12 years on the SBOE was: “Is our system designed so that any school can be an Exemplary school?” The answer I received was “Yes.” But, if all schools can be Exemplary and in an Exemplary school 90% of the children have to pass the test, then you have to keep the passing standard low enough for 90% of the children to jump over with good effort. (Think about how low you would have to keep the high jump bar at a track meet so that 90% of the kids in the entire school, not just on the track team, could jump over it—given they exercise, eat right and are motivated. And imagine how exciting the track meet would be.) Now think about how exciting our schools have been for the last 23 years. How can we get these master teachers? How can we create a public school system where the words “I am a public school teacher” immediately enlist an inner “Wow!” reaction; where “educator” becomes the most honored and highly sought out professional title? First, abolish the state criterion-referenced tests and replace them with commercially available norm- reference tests. At the beginning of each school year, have a one-month enrollment period for parents to select the best assessment for their child. Let the test makers educate our parents as they market their products. This would give parents a significant role in their child’s education—increasing parental involvement, and, give them a sense of “buy-in” to the system. It would prevent “teaching to the test” as every teacher would have students taking multiple tests. And, it would give the state more meaningful feedback as these tests would measure the entire range of academic achievement. Second, abolish the over 160 Educator Preparation Programs in the state and replace them with 20 prestigious Colleges of Education. The competition for one of these 20 slots would be fierce. Colleges and universities would battle for the best professors to include in their application. It would be “blood and guts”; the Marine Corps would seem like a bunch of cupcakes by comparison. Plus, these schools would immediately eliminate unproductive programs and courses. Third, admit into these prestigious schools, only the top 20% of high school graduates as measured academically by the ACT/SAT—entirely merit based (not GPA, which is influenced by local school and teacher policies). Give these students full ride scholarships. These high-quality students will ensure that these prestigious schools provide our state with the best possible teachers. Lastly, abolish the Accountability System and replace it with nothing. When our schools are being driven, they will not need to be pulled. a.. Good parents, b.. Good kids, c.. Good teachers—many of them master teachers, and d.. Good administrators.